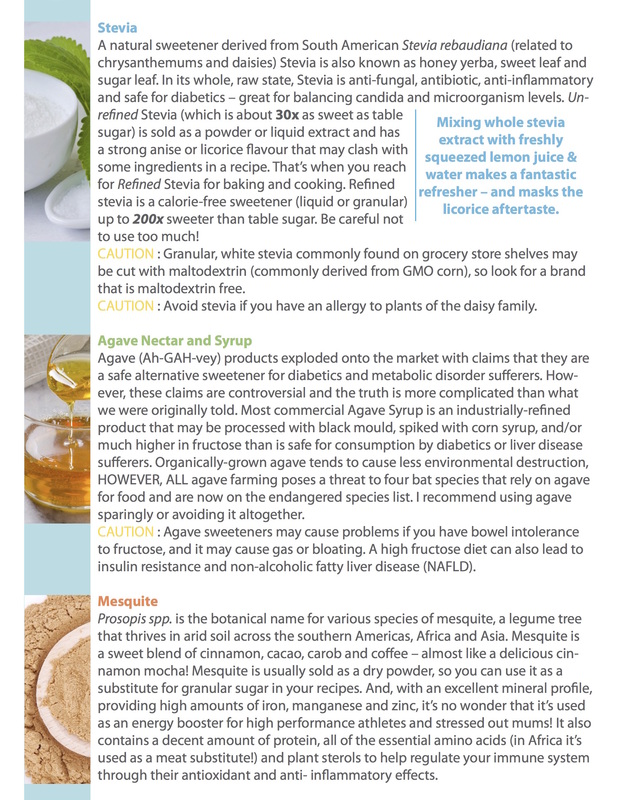 There are healthy sweetener options to choose from once you've made the wise decision to move away from refined sugar. 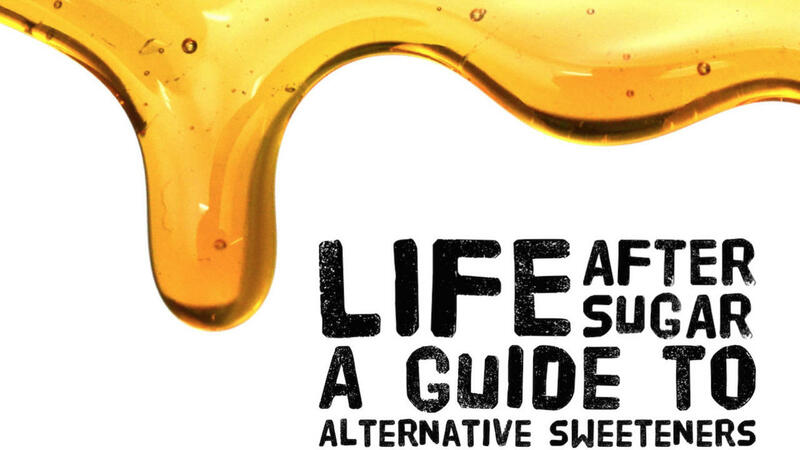 Pros and cons exist for every concentrated sweetener, no matter how natural the source is, so make sure that you’re not simply replacing a diet high in refined cane sugar with a diet high in another natural sweetener. Whole food sweeteners have a deeper, richer taste so you often need less than when using a refined sweetener. The best part is, all of them can help minimize inflammation when eaten in small amounts. Refined carbohydrates, like refined sugar, are often called empty calories. Actually, they’re worse than “empty” – they’re comparable to credit cards that create nutritional debt in your body. For example, 1 tsp of white sugar seems harmless – it tastes good and contains only 15 little calories. However, a closer look at the chemistry of its metabolism reveals that a tremendous nutritional cost comes from your body in order to utilize those 15 calories as fuel. 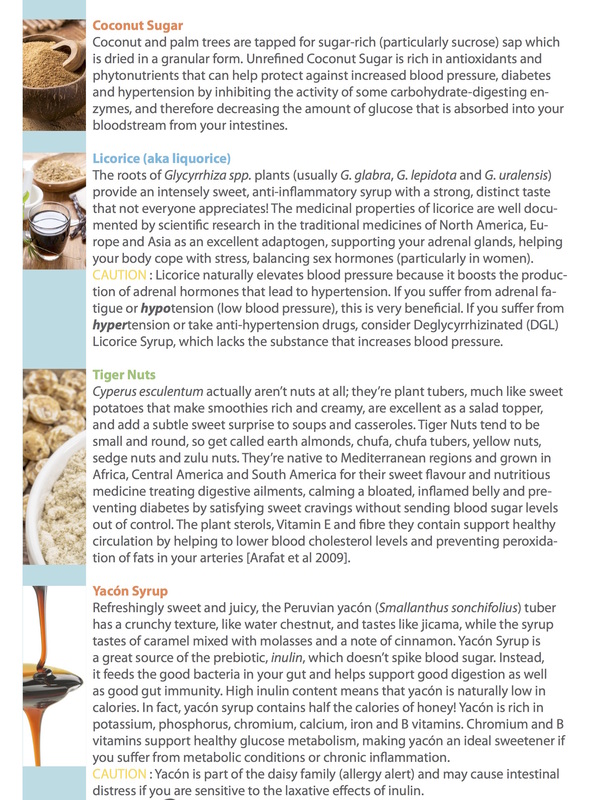 The nutrients the sugar needs to process, it POACHES FROM YOUR BODY... yes! Sugar robs your body of nutrients in order to process it. It is very important to pay attention to your blood sugar levels. Spiking your blood sugar is very inflammatory and will cause a cascade of reactions in your body that can lead to many serious health conditions. 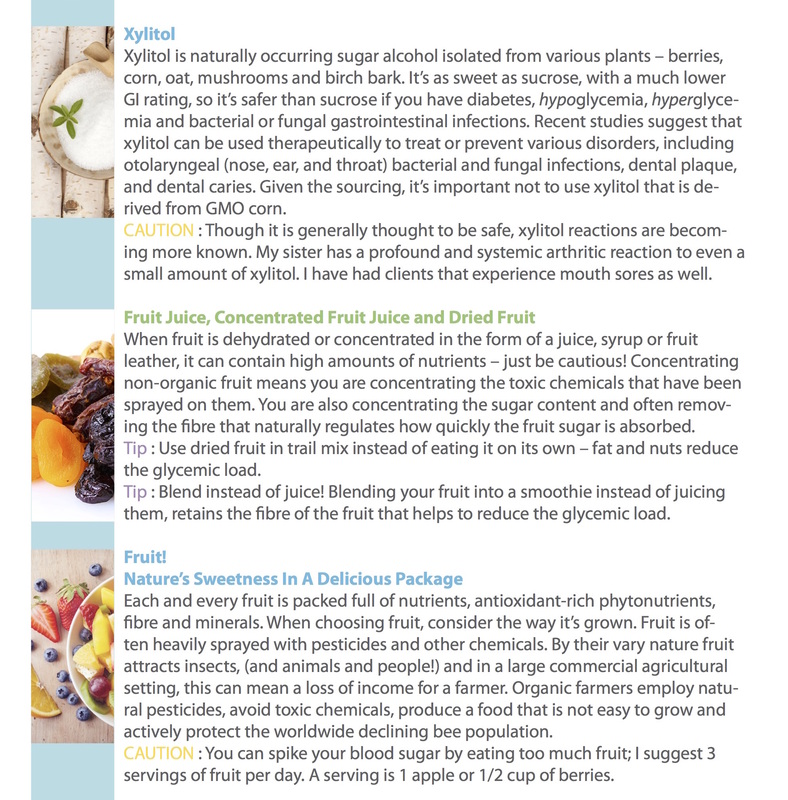 By replacing refined sugars with whole food sweeteners, you’ll help protect your body from the inflammatory effects of unbalanced sugar levels, and reap the health benefits of free radical scavengers. 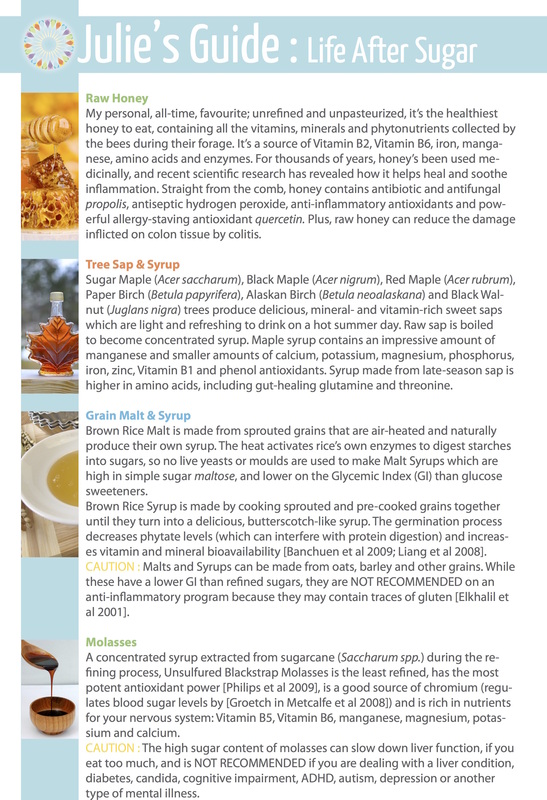 Recent studies have shown that unrefined sweeteners retain their natural anti-inflammatory antioxidants (raw honey, whole stevia leaf and fruit contain the highest amounts [Philips et al 2009; Goyal et al 2010]).